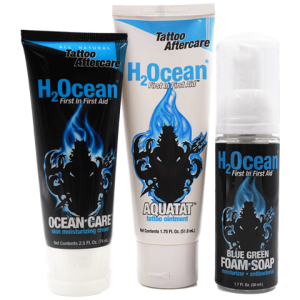 Tattoo Aftercare Guide | Union Tattoo & Piercing | We are a NEW Tattoo & Piercing shop located in Manteca, CA! You just got a new tattoo! But how do you care for it? In the excitement of getting your new ink, you were only half paying attention to the artist’s instructions on what to do. Don’t worry, we’ve got you covered! 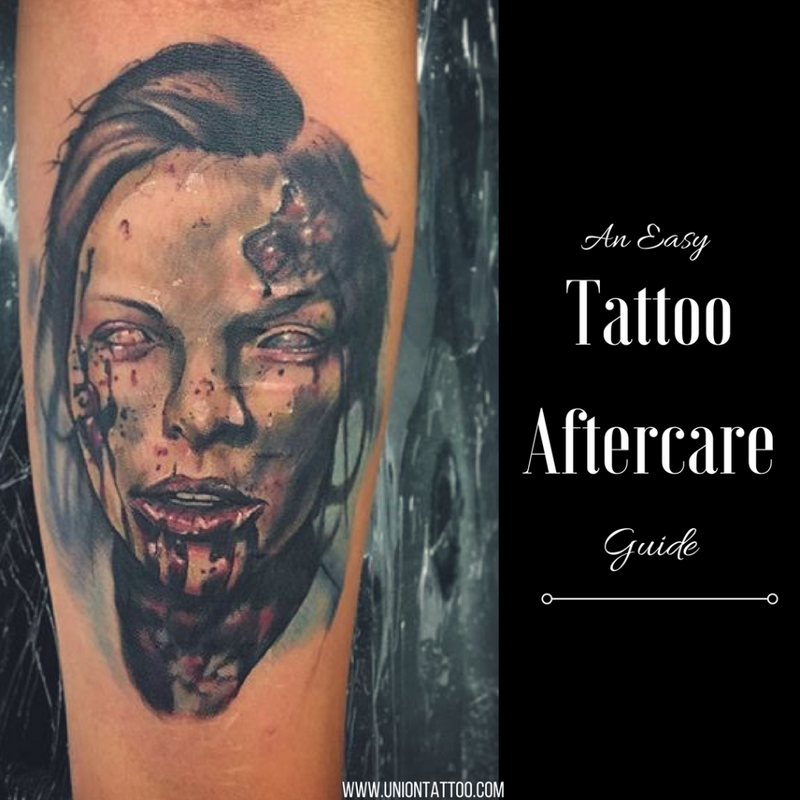 This tattoo aftercare guide will go over every part of the tattoo healing process and how to care for your new piece. 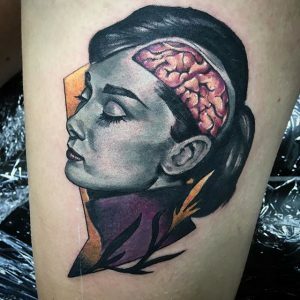 Most people describe the pain of a fresh tattoo similar to the pain of a sunburn. It’s hot, sensitive to the touch, and red. All these symptoms are totally normal! This will last anywhere from 1-3 days. Before you leave the shop, your artist will cover your tattoo in a bandage. Usually you should keep it in on from 2-4 hours, but double check with your artist before leaving. When it’s time for you to remove it, wash your hands first. You’ll notice a weird mixture of things when you take the bandage off, but don’t freak! It’s a mix of blood, plasma, and ink. Now that you removed the bandage, it’s time to wash! You should wash your tattoo 2-3 times a day to help prevent from too much scabbing. The plasma (clear goopy liquid) is what helps your skin scab up, so if you wash it away, it will help prevent that. Less scabs = less chance of your ink fading during the healing process. Make sure the area is completely dry before applying any lotion. If you don’t, the lotion will trap in any moisture, and the skin will soak it up and make the scabs goopy again. Apply only a thin layer of lotion and rub it completely into the skin! Too much lotion can suffocate the skin, and it needs to breath in order to heal. Do not scratch or pick at your tattoo! If it’s itchy, apply more lotion or even slap it if you have to, but do not scratch!! Flaking of the skin is completely normal, and you may even have some color flakes from the ink! All of that is to be expected! 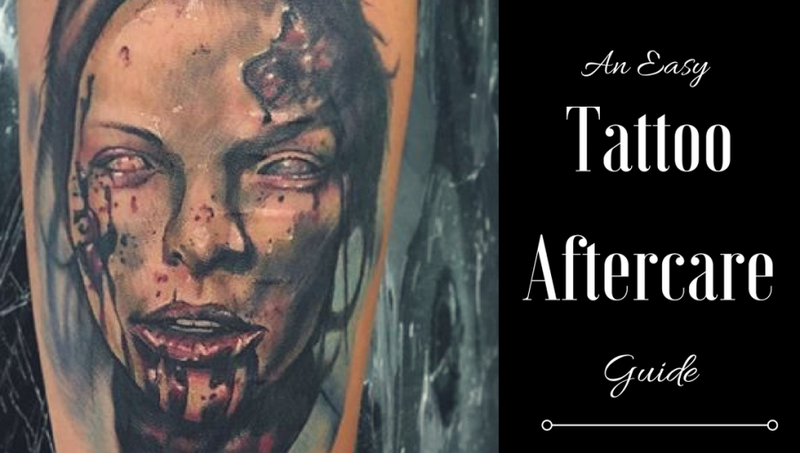 Stage three is the final step in your tattoo’s healing life cycle and the last step in our tattoo aftercare guide! Your tattoo may still be flaky, and possibly still sensitive to the touch. This is all normal, and you don’t have anything to worry about. So what are the steps for this stage? Just apply lotion with clean hands 3-4 times a day, and you’re good to go!! It’s that easy! Your tattoo may look a little dull and foggy, but not to worry. That’s just a final layer of dead skin that will fall off naturally over the next couple of weeks. As long as you’ve followed this tattoo aftercare guide, your tattoo should be as bright and beautiful as the day you got it! It may seem like the healing process takes a lot, but it’s only 2-3 weeks out of your entire life! Once it’s all said and done, you’ll have a gorgeous piece that you can show off for years and years to come.